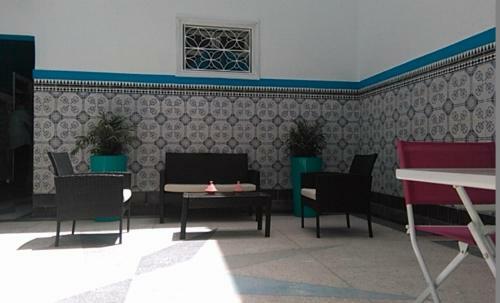 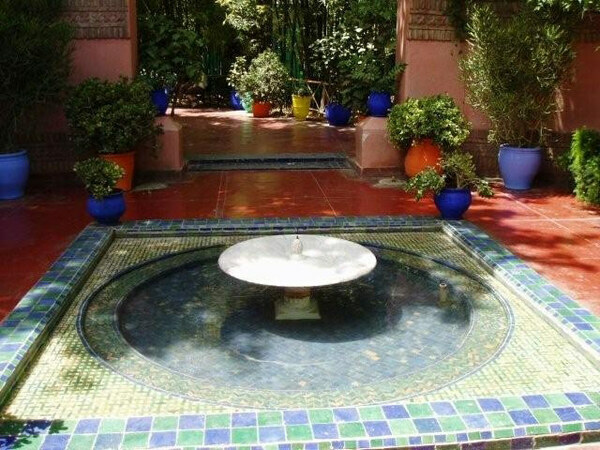 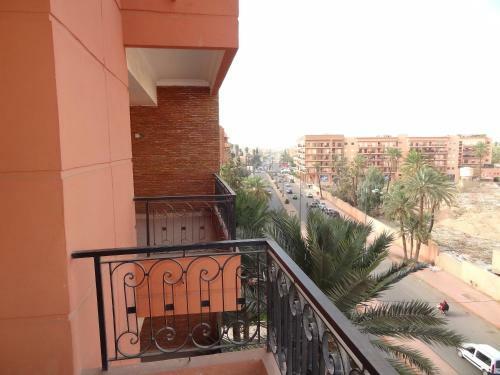 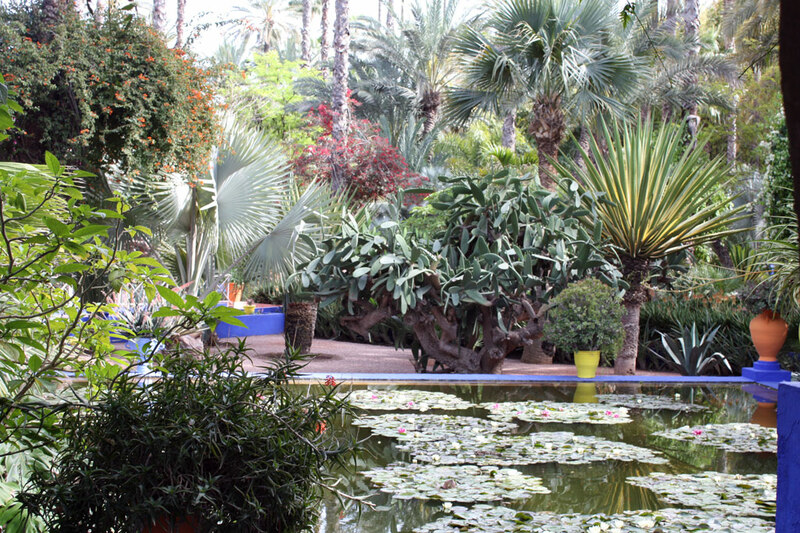 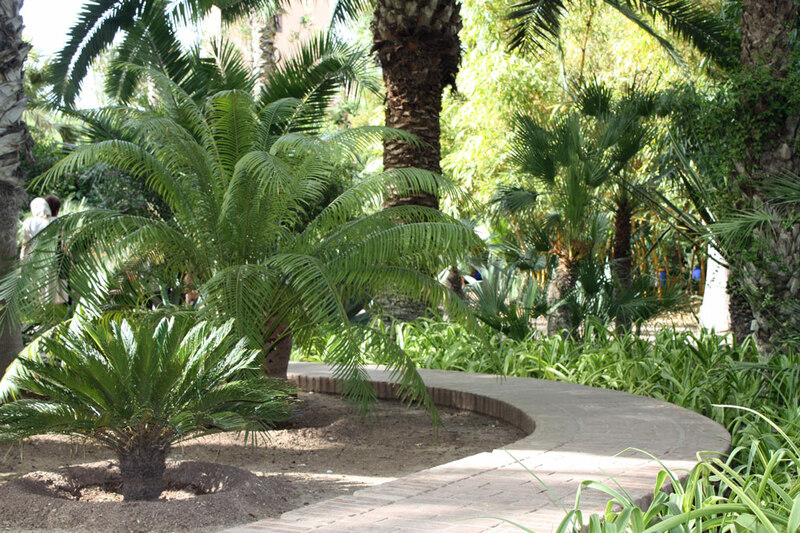 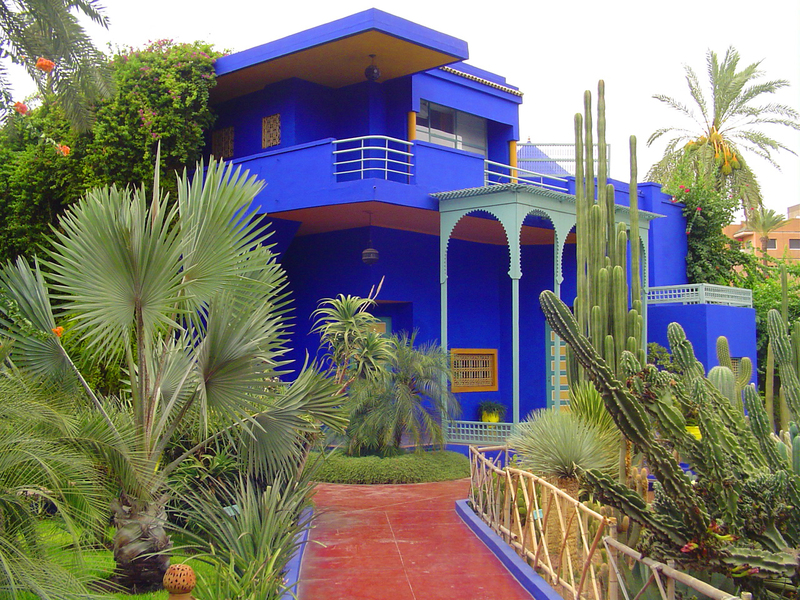 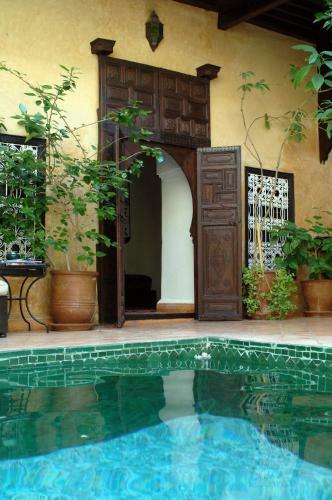 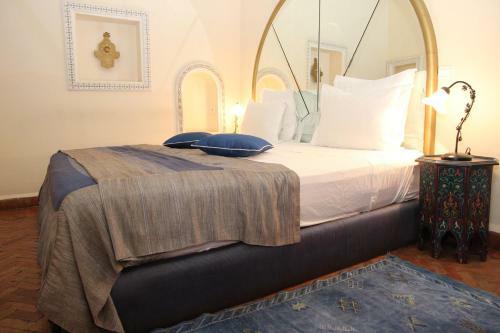 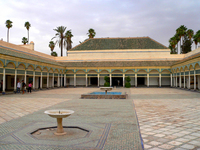 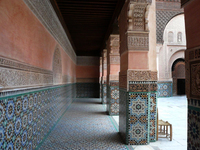 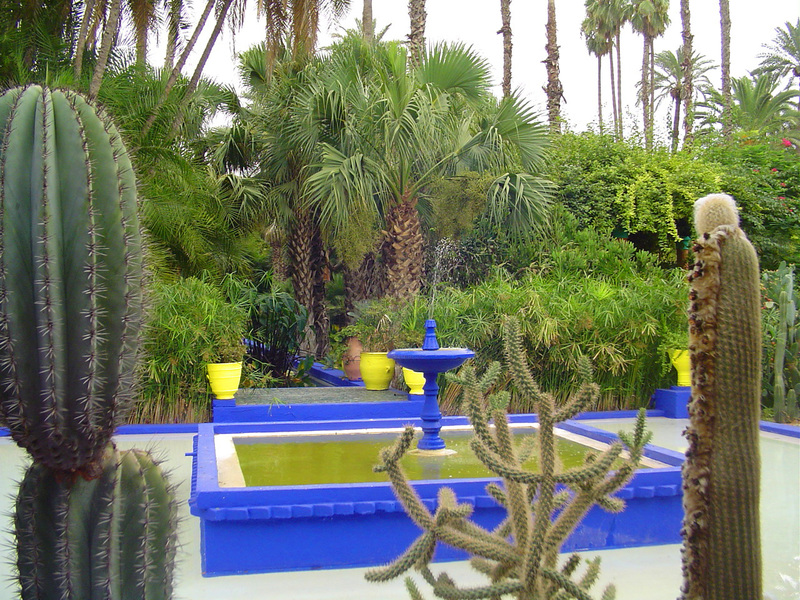 The garden was made in the 1920s by the French painter Jacques Majorelle, with marble pools, raised pathways, banana trees, groves of bamboo, coconut palms and bougainvilleas. 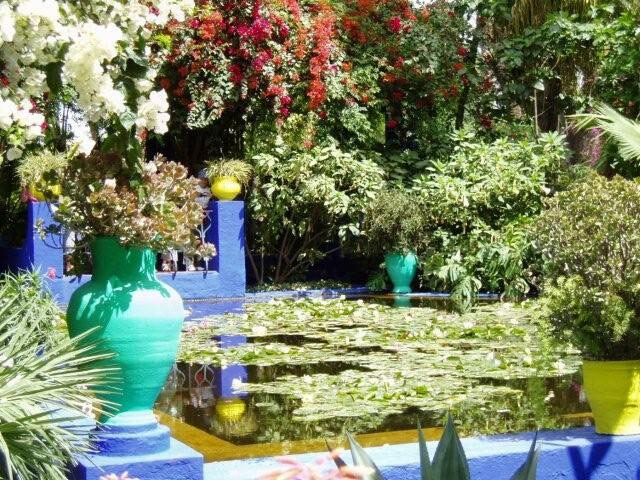 Perhaps unsuprisingly as the garden was designed by a painter, the garden is composed and coloured like a painting. 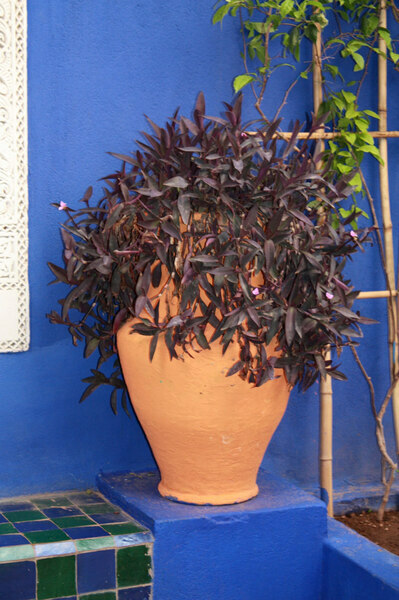 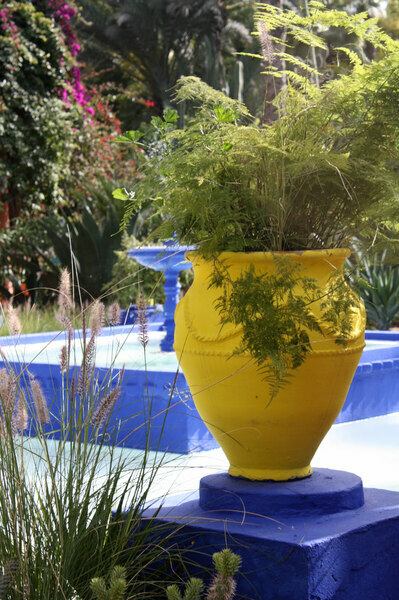 Many of the built features were painted in a dark blue ('Majorelle Blue') which works very well with the soil, climate and plants. 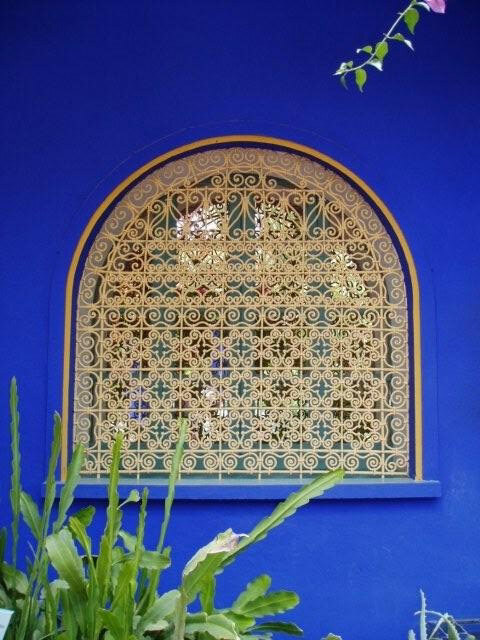 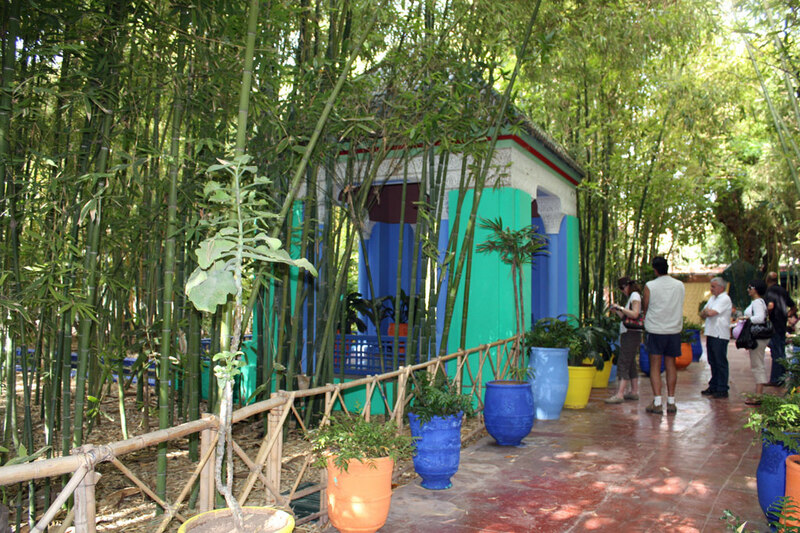 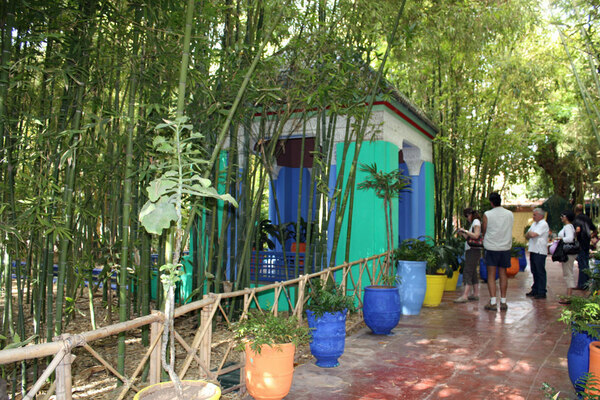 In fact, Majorelle's garden rather than his paintings was his masterpiece. 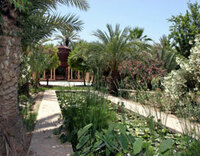 Water is an important feature of the garden - there are channels, lily-filled ponds and fountains. 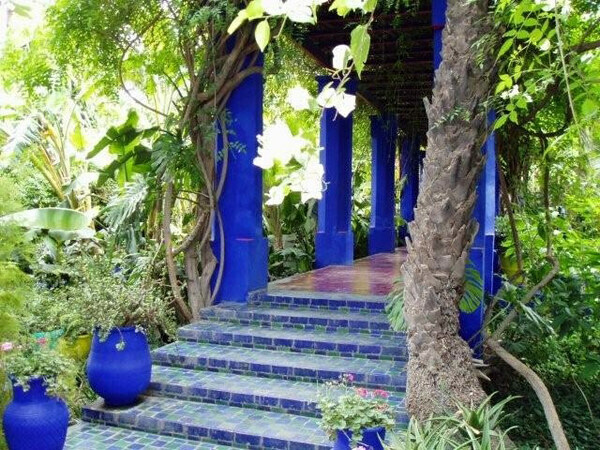 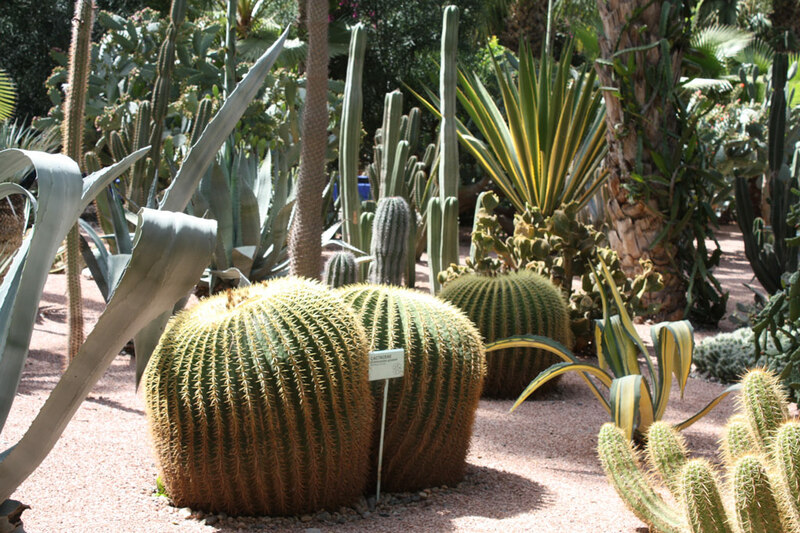 Majorelle was an avid plant collector. 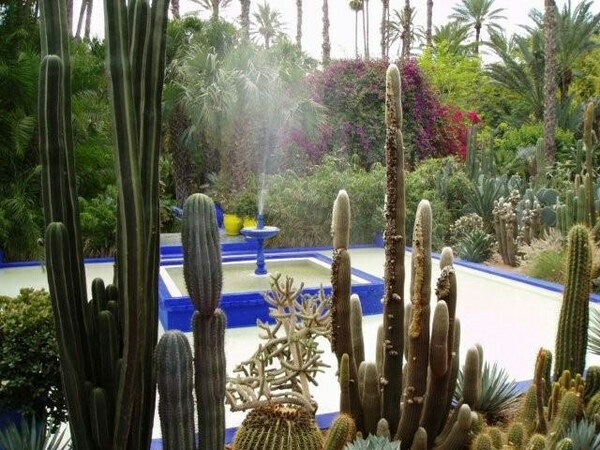 After years of neglect, the garden was then taken over and restored by the fashion designer Yves Saint Laurent and his partner Pierre Berge. 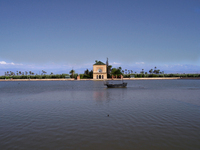 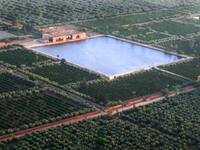 Opening times All year., Daily., October to May: 8am to 5pm., June to September: 8am to 6pm.